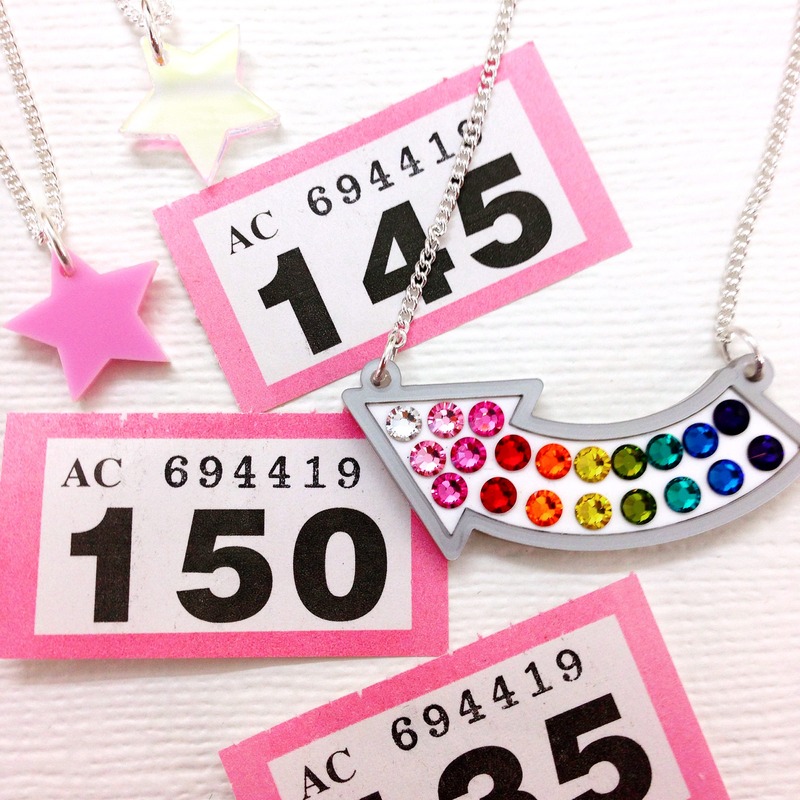 WIN PRIZES IN THE TATTY TOMBOLA! In London this Friday and Saturday? 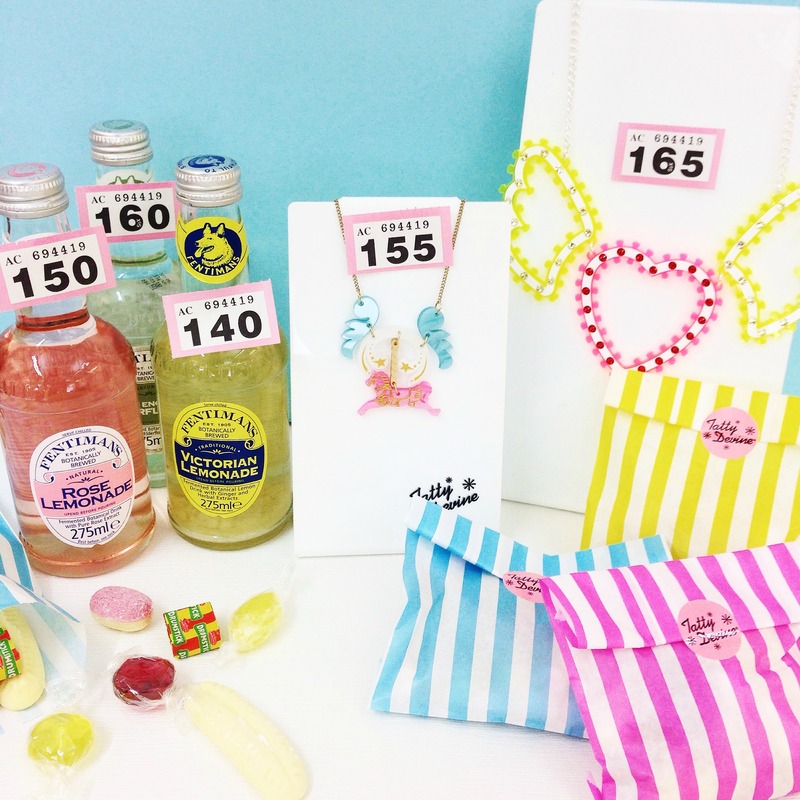 Then you're in luck - try your hand at the Tatty Tombola in our Covent Garden and Brick Lane stores! Missed out on a winning ticket? Then have some sweets on us! Will you be trying your luck? Prizes are while stocks last, so be quick! Make sure to show us your winning snaps, tagging #tattydevine - good luck. *The small print: On Friday 19th June 2015 and Saturday 20th June 2015 customers who spend £25 or more in our Brick Lane and Covent Garden stores will be able to try their luck in the Tatty Tombola. To enter, you must spend over £25 in one transaction and will then be able to select a raffle ticket at random from the Tatty Tombola. 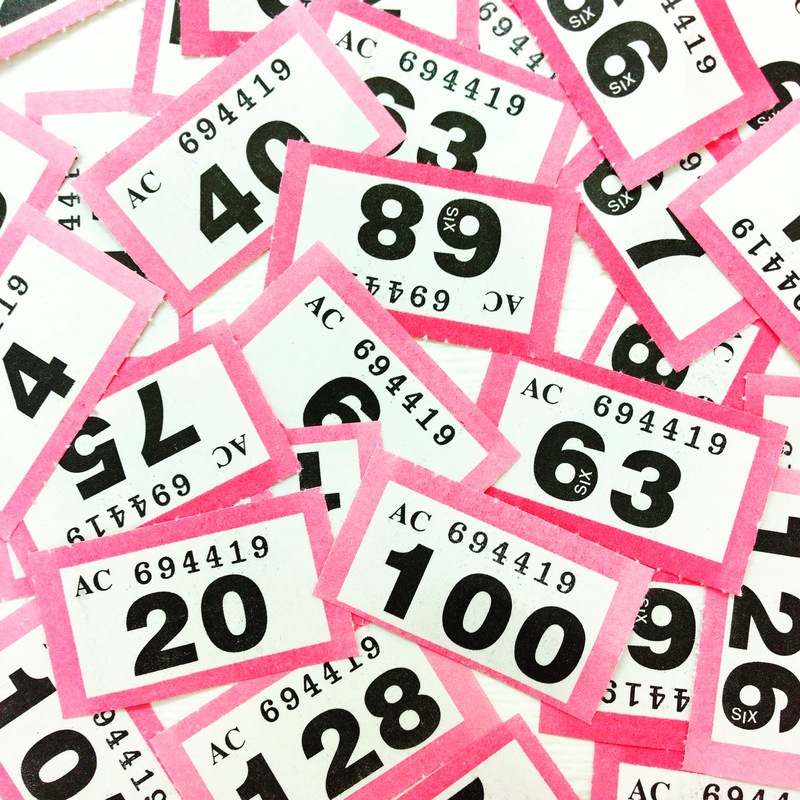 If your ticket ends in a 0 or 5, you will win one of the tombola prizes on display in store. If you win a Name Necklace, this must be designed on the day. You can design a standard size Name Necklace, on one line in our classic range of colours only. 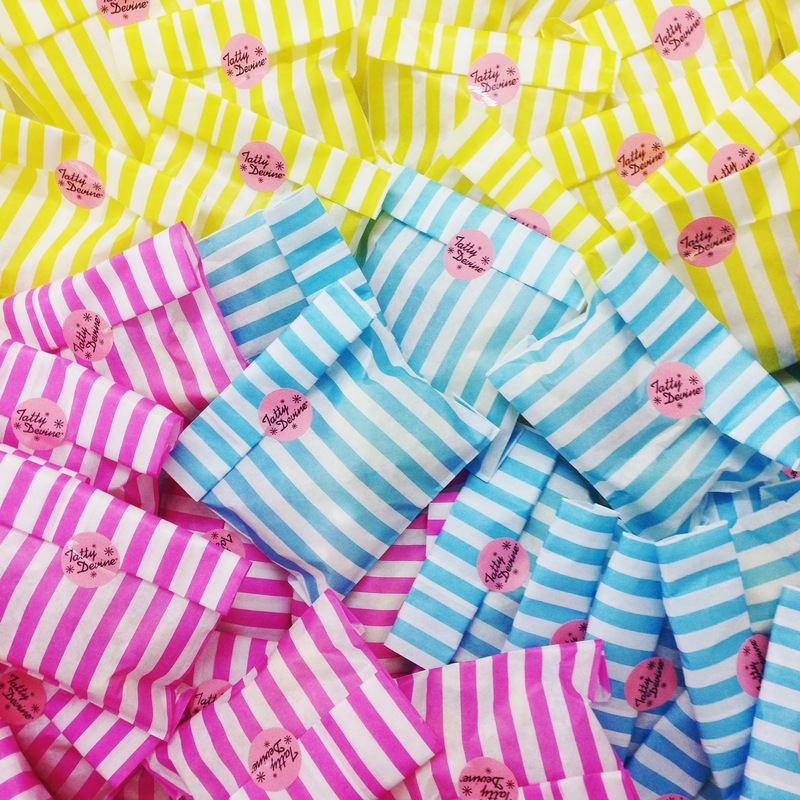 If you randomly select a ticket ending in 1, 2, 3, 4, 6, 7, 8 or 9 you will receive a bag of sweets as a token gift. Prizes are while stocks last and on a first-come-first-served basis. Only one prize can be won per person per day over the duration of the promotion. Employees, families, agencies or anyone connected with Tatty Devine can’t enter this one, sorry. There is no cash alternative, and your prize is non-negotiable, and non-refundable. Good luck!